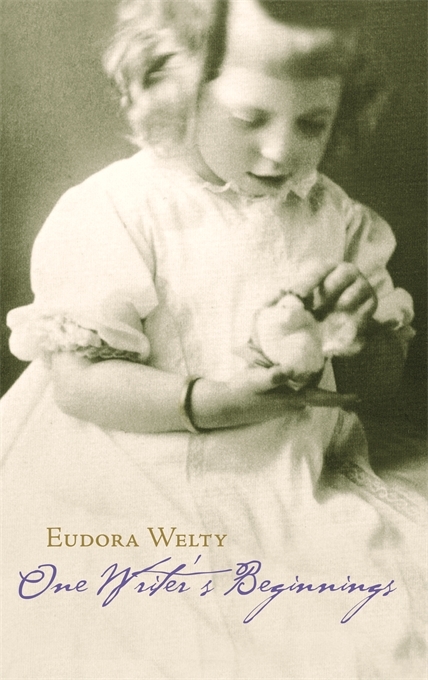 Eudora Welty was born in 1909 in Jackson, Mississippi. In a “continuous thread of revelation” she sketches her autobiography and tells us how her family and her surroundings contributed to the shaping not only of her personality but of her writing. Homely and commonplace sights, sounds, and objects resonate with the emotions of recollection: the striking clocks, the Victrola, her orphaned father’s coverless little book saved since boyhood, the tall mountains of the West Virginia back country that become a metaphor for her mother’s sturdy independence, Eudora’s earliest box camera that suspended a moment forever and taught her that every feeling awaits a gesture. She has recreated this vanished world with the same subtlety and insight that mark her fiction. Even if Eudora Welty were not a major writer, her description of growing up in the South—of the interplay between black and white, between town and countryside, between dedicated schoolteachers and the public they taught—would he notable. That she is a splendid writer of fiction gives her own experience a family likeness to others in the generation of young Southerners that produced a literary renaissance. Until publication of this book, she had discouraged biographical investigations. It undoubtedly was not easy for this shy and reticent lady to undertake her own literary biography, to relive her own memories (painful as well as pleasant), to go through letters and photographs of her parents and grandparents. But we are in her debt, for the distillation of experience she offers us is a rare pleasure for her admirers, a treat to everyone who loves good writing and anyone who is interested in the seeds of creativity. Now available as an audio CD—in Eudora Welty’s own voice—or as a book.